Suicide numbers edging up in Mass. on the Daily News out of Newburyport focused on a lot of details behind suicides. Within the article are the usual statistics, gender, age and means by which they ended their lives. "One thing, if anything, taken away from this article is this part. “They feel like they’ve lost all hope and they don’t have options. Sometimes just having someone on the phone to listen and talk to is enough to turn them around.” Sen. Barbara L’Italien. When I trained as a Chaplain with the IFOC I focused on First Responders simply because, while civilians can be hit by PTSD from one event, they face it on a daily basis, actually subjecting themselves to what the rest of us avoid. There are not enough people trying to take care of them. They get hit harder because they feel they are the ones who are supposed to be stronger, tougher than the rest of us, but what they do not realize is that at their core, they care more than the rest of us. Think about it. They are willing to die for each other and total strangers on a daily basis. When they are not facing the events that could end their lives, they are thinking about the ones that may come as much as they are remembering the ones that already happened. Massachusetts is trying to do something about that. One proposal, by Sen. Barbara L’Italien, D-Andover, focuses on law enforcement officers who, according to statistics, are more likely to commit suicide than be killed in the line of duty. The bill was filed on behalf of Janice McCarthy, an Andover women whose husband, Paul, a former state police captain, died from suicide in 2006. The bill would create a new training program for police to recognize signs of post-traumatic stress disorder and suicidal behavior. One thing they can try to do is have more folks trained in helping the responders. It has to be specialized training and sanctioned by the Police and Fire Departments, because they are closed off to the rest of the population, wanting to take care of their own. This, most of the time, is beneficial, but when you are too close to those you need to help, that emotional connection tends to get in the way and adds a heavier burden to the caregivers. 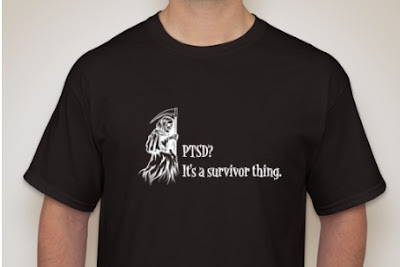 As more and more people understand what PTSD is, more and more people are talking openly about it. There is power in the numbers but there is also a downside to it. Talking about it without investing the time in learning about it, has done more harm than good. It is great to care but when you don't care enough to learn first and act afterwards, you are part of the problem and one of the reasons they lose hope. I hope this helps you understand what they need to be reminded of.